Art Van Furniture are operating within the U.S and supplying furniture to homes across the country. With a focus on Danish and contemporary furnishings they have an impressive range of products to add value to your home. In this Art Van Furniture Reviews post you will learn about Art Van Furniture's beginnings, the products they produce, their furniture quality, reviews and complaints, and their warranty on their furniture! Art Van Furniture was founded by Mr Van Elsander in 1959 after he had been working in the industry for some time. He set up headquarters in Detroit and focused his business on providing the community with high quality furniture at great prices. This has remained at the heart of Art Van Furniture as they still have competitive pricing. Art Van Furniture are committed to revolutionising home fashion. Their ranges of products are dedicated to style and staying ahead of the trends, allowing you to fit out your home with the latest designs. While being innovative with fashion Art Van keep their prices low to ensure there is value for homeowners. 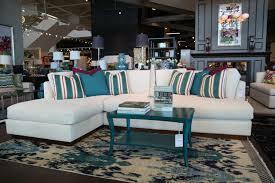 If you are looking for other high style companies then take a look at Ethan Allen Furniture, and Simmons Furniture. Art Van have been operating for over 58 years, and currently have over 100 stores across the U.S. They are a distributor rather than a manufacturer, meaning their products are imported from Asian factories and not crafted within the U.S. This is a fairly common practice to keep costs down in the furniture industry. Art Van have specialised agents who go across the globe and find the next fashion trends to bring them to the American market. Let’s take a look at their main product ranges. Each of these has several subsections, so you really aren’t struggling for choice when shopping with Art Van. They are also mattress specialists, naming themselves as number 1 mattress and furniture store in the MidWest. Art Van have exclusives which have been designed by their specialists. It’s a great way to fit out an entire room and you can choose from traditional, modern or contemporary styles. Art Van believes in helping you strike a balance between comfort and style and helping you create the room you desire. As Art Van outsource all their production to different factories the quality can be varied. Art Van has checks in place to ensure high standards, and is careful about the manufacturers and retailers it selects to make and home their goods respectively. However as is the case with non American producers you should be extra vigilant for breakages as getting them replaced can be significantly more difficult. If you are concerned about companies outsourcing from overseas, I would suggest you look at Palliser Furniture which is manufactured in North America! 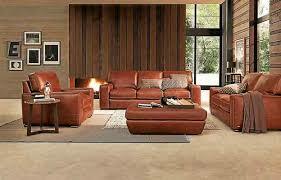 Art Van’s living room collection, specifically their sofas and chairs, are their most popular pieces. Let’s take a look at the options available. Each of these are made for an exclusive purpose so It depends on your requirements which you select. Sofas are traditionally heart of the living room is the sofa and It’s important you pick one which will fit in with your home. Each style has been selected specifically to match your existing decoration and look. Art Van have a number of reclining sofas and sleepers, each designed so you get the most utility out of your living room furniture. There are over 15 different colour sofas available and over 100 fabric choices to alter the feel of your sofa. Art Van’s varied selection and customising options make their product range extremely versatile. The best thing to do is find a showroom and have a look round to experience the choice. Along with the fabric choices and colours available you can choose between your recliner function. There are push back recliners, swivel chairs, rocker recliners and lift chairs (which are perfect for easy sitting and standing). 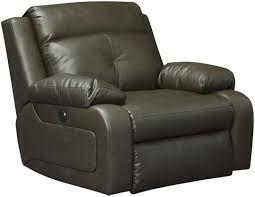 Leather recliners are the traditional choice, offering a classic look and increased durability. The leather is stained uniquely for each unit so no two are ever alike. Art Van recliners features 1.8 density polyurethane foam cushions and have 8 Guage convoluted seat springs to give the maximum support and comfort. The recliners are available in a range of sizes to fit in the available space, check with your local dealer for exact specifications. Art Van furniture has always been focused around style and It’s why they have so many choices. They are continually searching out new furniture fashion options and alternative materials so every customer can find what they’re looking for. Seating: Art offers a wide variety of outdoor seating options. Some of these pieces include chairs, loungers, ottomans, and love seats. The majority of these pieces incorporate a nice light beach feel, while still looking sophisticated enough to fit nearly any style of home. I personally recommend taking a look at the Wyndham Loveseat collection because they are especially comfortable! Dining: They also offer a beautiful collection of outdoor dining pieces that will not only look great, but is extremely comfortable and practical for family gatherings. 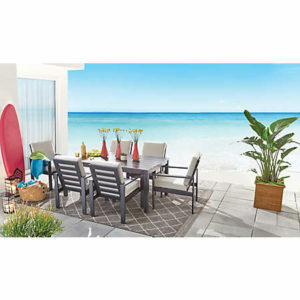 Art offers a variety of outdoor dining sets that include tables, chairs and coffee tables. Art offers pieces that are aluminum made, and also wooden made, but I really like the look of the aluminum. That being said, I definitely recommend taking a look at the Chelsea Outdoor collection for its beautifully simple design. Umbrellas: If you are in need of some relief from the summer sun, then an umbrella is what you need! Art offers a variety of hanging and upright umbrellas which are perfect for your patio! One of the great things about these umbrellas are their breathtaking colors and styles that are offered! Fire Pits: If you are looking for a nice comfortable place for family and friends to hangout and relax on a cool summer evening, then you need a fire pit! Fire Pits are great for having a common place for gathering, and they help to provide a nice relief from cool nights! Outdoor Accessories: Art Van also offers a huge range of outdoor accessories including lava rocks, fire pit furniture sets, propane tank covers, and gazebos. Overall, this company overs a huge range of options for outdoor pieces and you'll definitely find something you need! If you purchased a piece of Art Van furniture in the past, and you are dealing with some issues or you need a repair, then you have a few options available to you. Firstly, I would definitely call Art Van customer support to see if your pieces are within their warranty options or not. If its within their warranty, then you can arrange for a repair or replacement through customer support. If your pieces are out of warranty, then you will have to consider your other repair options. You can consider paying for a repair directly through Art Van, or you might be able to find a third party furniture repair store. I personally haven't used Art Van's repair service, but I have taken a ripped recliner to a third party repair store, and they did a great job! Art Van Furniture is popular in many homes and feedback is generally positive about the products. Common criticisms are of the price and there seem to be some customer service issues. ​Imported junk being sold in our country at very high prices, very high high markups on furniture! Art Van sell through multiple retailers and occasionally there will be bad service, which is annoying but not typical. However Art Van do outsource their production which is an issue for some people. Generally quality is lower on imported goods and issues harder to resolve. Art Van are one of the more expensive furniture providers so there’s no realy excuse for lower quality. We have bedroom furniture that is 40+ years old from Art Van and it is still great. Of course, it has been taken care of. We also purchased other things there years ago and they lasted very well. But, perhaps the furniture is not made as well now as back then. It does seem as is Art Van quality has dipped in recent years. Be careful when shelling out on their higher ticket items and try to look around for bargains rather than paying full price. Always check thoroughly for defects when something is delivered because returns or replacements from abroad can take a long time. Art Van back up their products with a decent warranty. There is coverage of 5 years on most of their products and a lifetime warranty on their fabrics against staining. 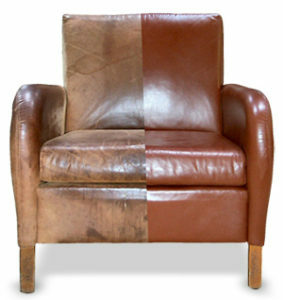 These warranties cover any workmanship or defects in the furniture, but not wear and tear. Always check with your dealer before purchasing so you know exactly what is and isn’t covered and check what happens if something does go wrong. Art Van have marketed their furniture as top of the line style and as such have an impressive collection of different designs to choose from. Their fabric and colour selection is great with a wide range of products. The quality of Art Van is a little inconsistent it seems, with some people very unhappy with their products not lasting. Within the furniture industry you do get what you pay for, so to see a more expensive distributor have some issues with quality is fair alarming. However that being said the majority of customers are walking away with products that are reliable and changing the whole look of their home. Art Van have some really fashionably and good looking products. Their less expensive items are good value and if could end up being a bargain. When purchasing from big distributors it’s important to choose a retailer that you trust, as any issues will be doing through them, so bear that in mind. Art Van Furniture is fashionably and if It’s within your budget can certainly add value to your home. Find your local dealer today on the Art Van website. 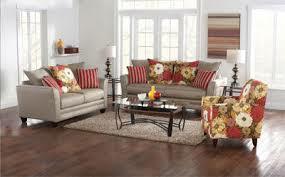 If you are interested in other furniture reviews, check out our living room furniture page.